The 48 Heures de l’Obstacle is a weekend bursting with top-class racing action, with 8 hurdles races and 7 steeplechases on the schedule. It is a veritable celebration of jumps racing, with a programme that showcases the expertise involved in this elite sport. 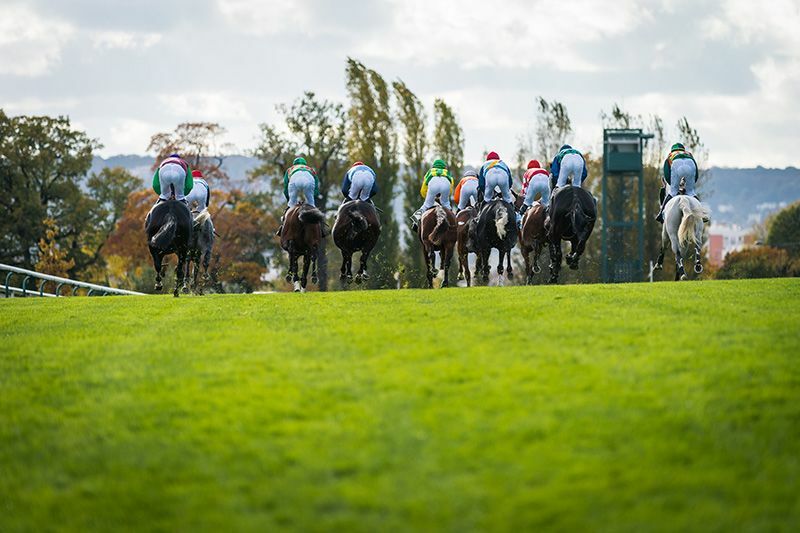 This two-day event at Auteuil boasts four Group I races, the highest category of horse race: the Grand Prix d’Automne on the Saturday, and the Prix Maurice Gillois, Prix Cambacérès and Prix La Haye Jousselin on the Sunday. Hurdles races include a minimum of 7 obstacles to jump. These 7 “hurdles” are identical and are 1.10m high. In this discipline, various different obstacles (walls, water jumps, etc.) are dotted along the course. Steeplechase obstacles are higher and more challenging than hurdles. 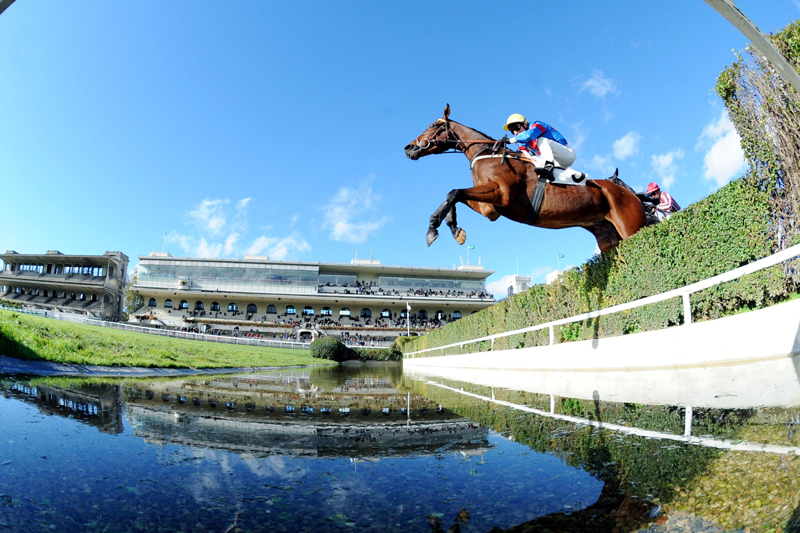 Steeplechase jumps vary from one race to another, and also from one racecourse to another. Rail Ditch and Fence, also known as the “Juge de Paix”: 1.60m high by 4.10m wide, this obstacle requires the horses to leap 5 metres across. 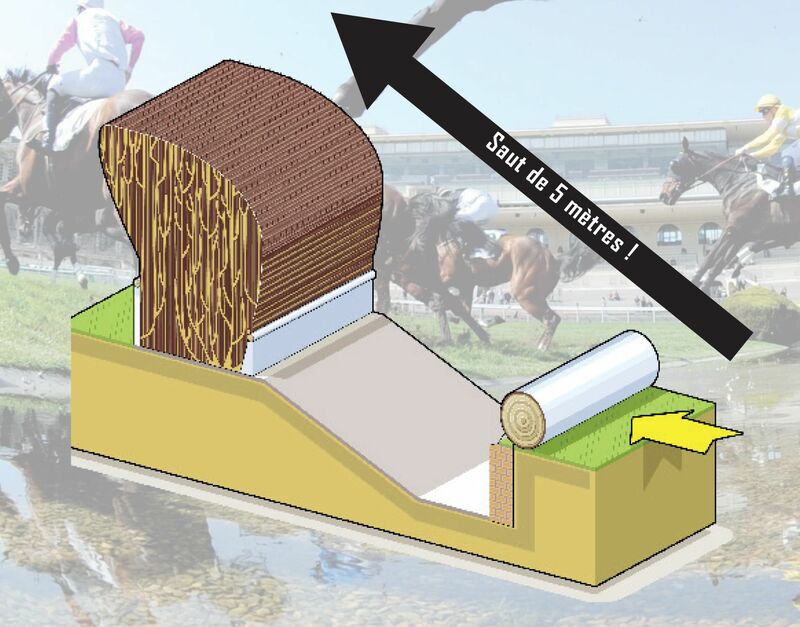 Rivière des Tribunes: 1 metre high and 5.50m wide, this obstacle needs plenty of speed, as the horses have to leap more than 8 metres across. Brook : This obstacle, measuring 0.80m high by 3.45m wide, requires the horses to jump 4 metres across. A Group 1 race, the highest category of horse race. One of the most important events of the autumn, reserved for Europe’s best hurdlers aged 5 and over. This race is run over a distance of 3 miles punctuated with 16 hurdles. The horses must be able to tackle the obstacles without losing momentum in between hurdles! 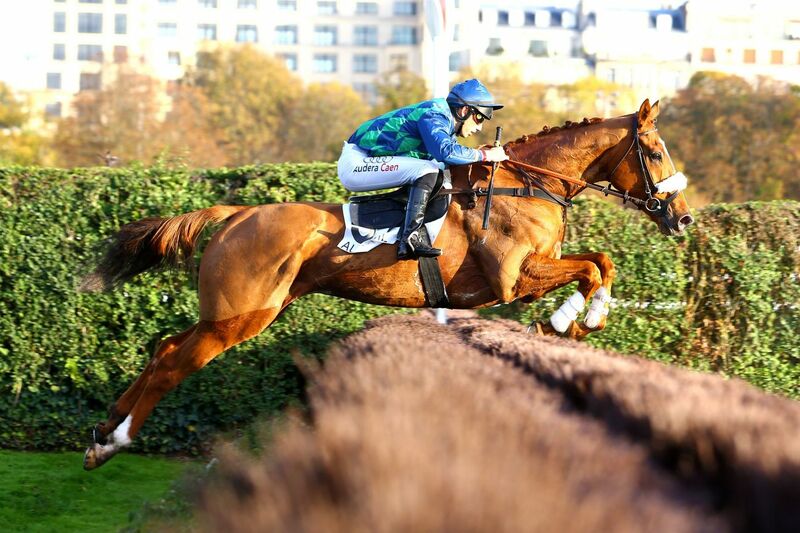 GALOP MARIN and his jockey Morgan Regairaz won the 2018 Grand Prix d'Automne! This race is the most important hurdles race of the year for 3-year-olds, as it unveils future hurdling champions. The horses must tackle 11 hurdles over a distance of 2 miles 2 furlongs. In 2018, Beaumec de Houelle took the laurels in the Prix Cambacérès - Grande Course de Haies des 3 ans! 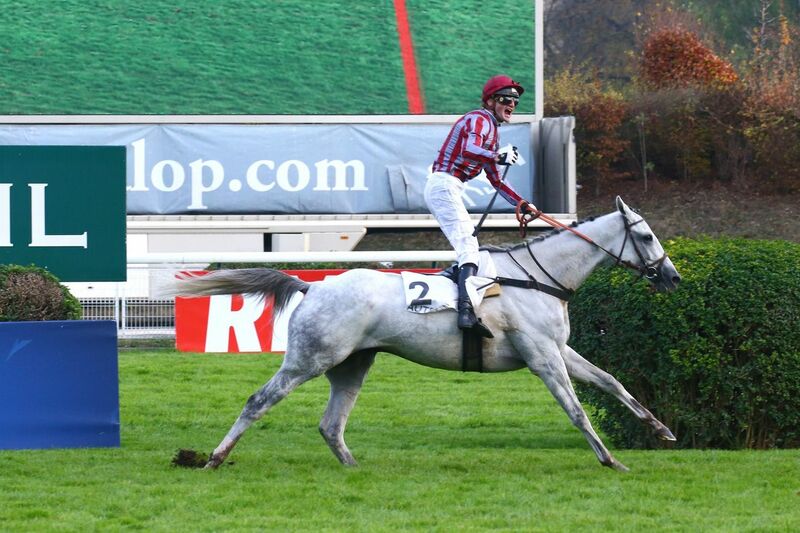 Sunday 3rd November – Prix Maurice Gillois - Grand Steeple-Chase des 4 ans! This steeplechase race reserved for four-year-olds is run over 2 miles and 6 furlongs and includes 18 different obstacles to jump. The winner of the race is named as the best steeplechaser of the current 4-year-old generation. 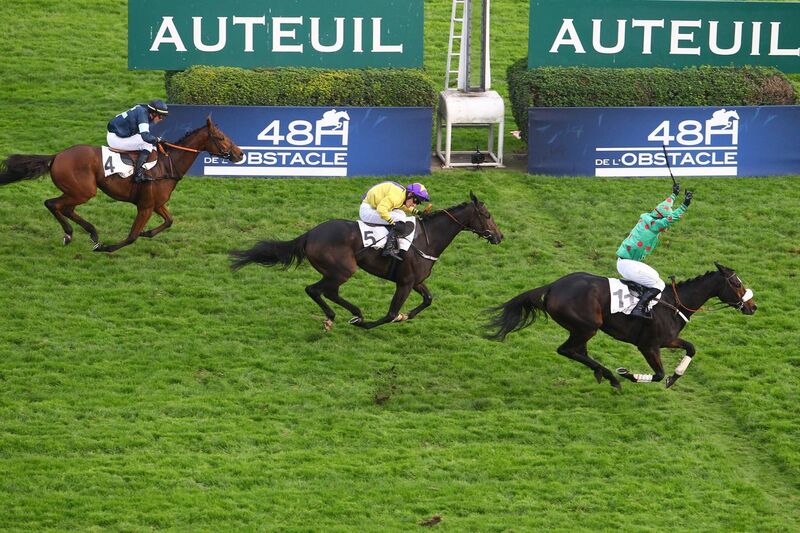 Cicalina and her jockey Bertrand Lestrade won the 2018 Prix Maurice Gillois - Grand Steeple-Chase des 4 ans! A second crack of the whip for horses that failed to win the Grand Steeple-Chase de Paris in May, the Prix La Haye Jousselin is run over a distance of 3 miles 3 ½ furlongs and is dotted with 22 of the racecourse’s most challenging obstacles. The Rivière des Tribunes, which requires the horses to jump an astonishing 8 metres across, must be tackled twice during the race! This is the most thrilling race of the whole weekend! 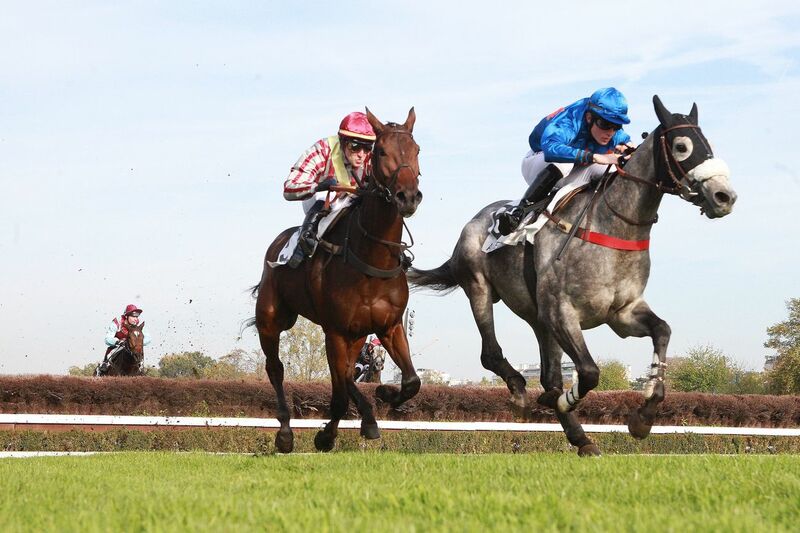 In 2016, Milord Thomas, a horse trained by Dominique Bressou for American owner Magalen Bryant, became the third horse in the history of racing to win the Prix la Haye Jousselin three times! In 2018, Bipolaire sealed a double victory, as well as a first Group 1 win with jockey Jonathan Plouganou! 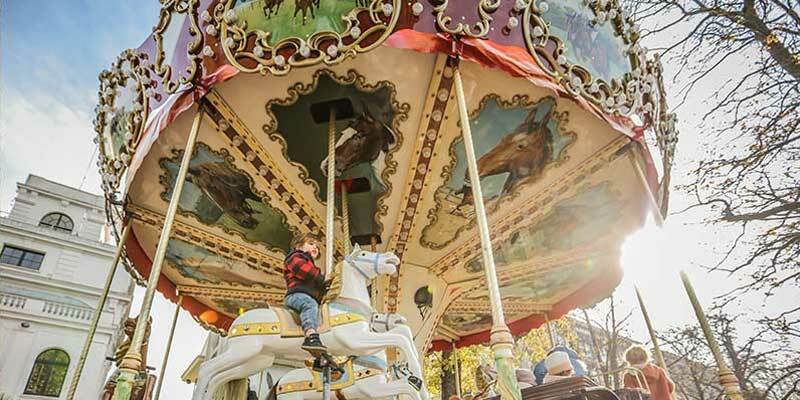 Climb on board for a magical ride on the merry-go-round, a classical fairground favourite. Choose your mount and off you go! You can enjoy as many rides as you want. Admission free for children. 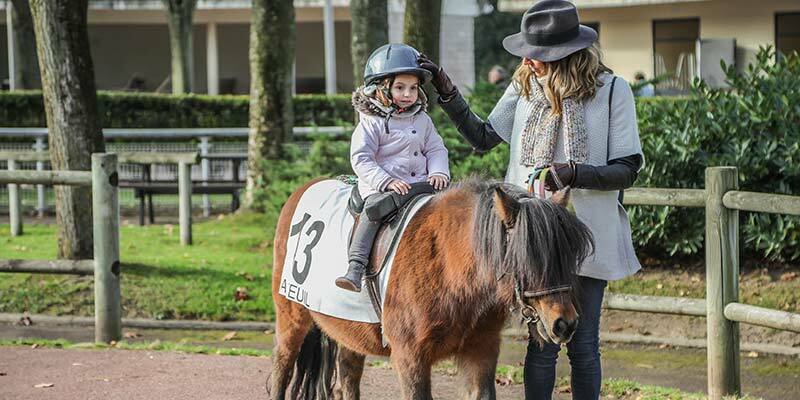 Join your children (ages 3 and over) for a free introduction to the world of horses. Our ponies are waiting to share this unique moment with you. And it’s all free too! 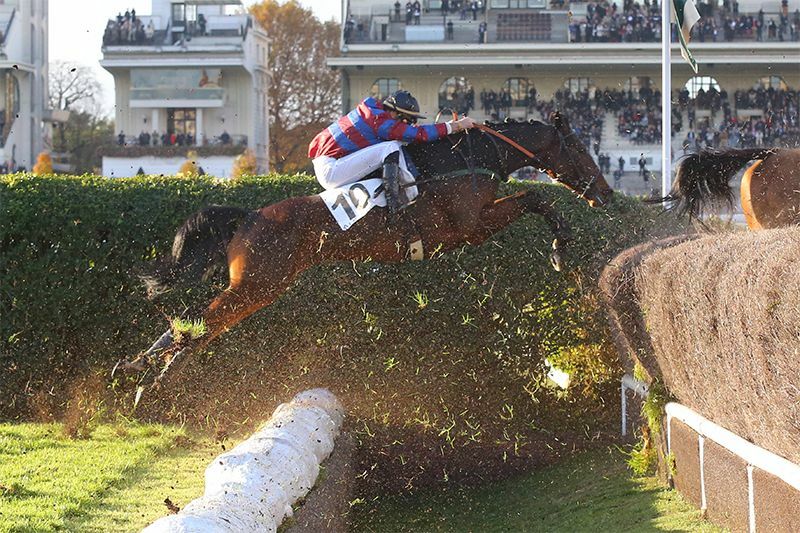 ADMIRE AUTEUIL RACECOURSE'S LEGENDARY OBSTACLES UP CLOSE! 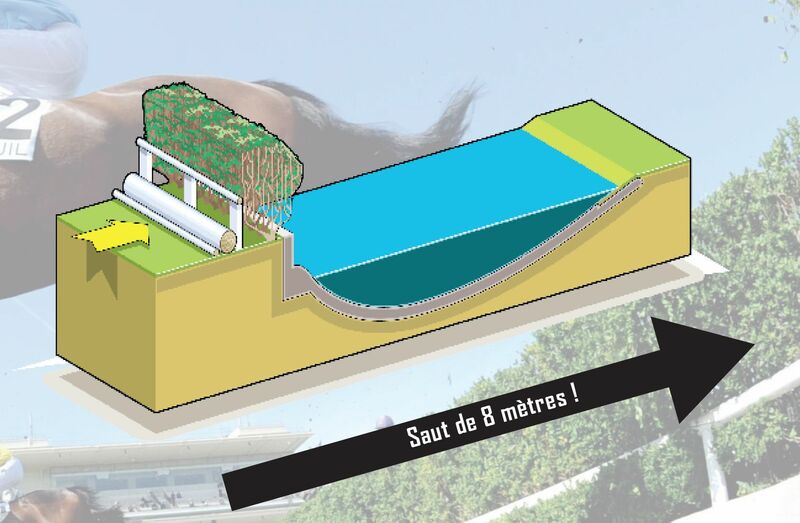 At a safe distance away from the Auteuil turf, explore the life-size replicas of two of the racecourse’s most emblematic obstacles – the Rail Ditch and Fence, an obstacle of awe-inspiring proportions, and the Rivière des Tribunes, which requires a record-breaking jump of 8 metres – to help you put the participants’ exploits into perspective! … AND SET OFF TO EXPLORE THE TEMPLE OF JUMPS RACING! – Tour of the course: A 45-minute tour to admire the formidable obstacles that the horses will face over the weekend from up close! 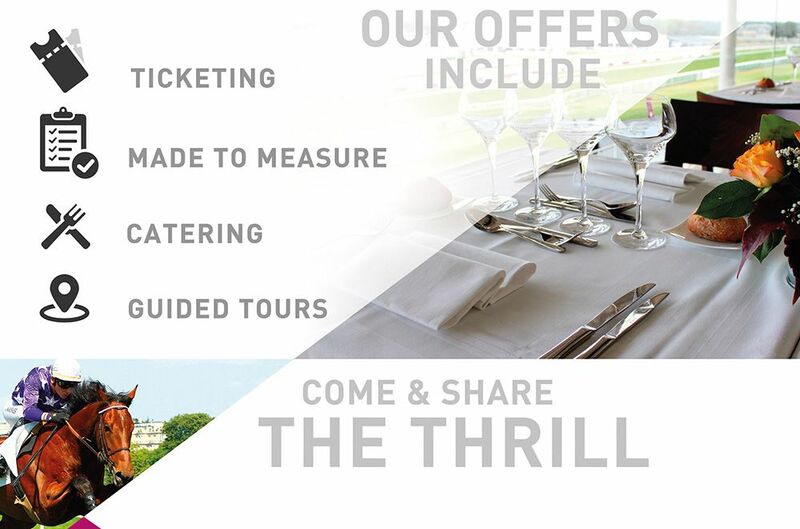 – Tour of the racecourse: A 45-minute tour behind the scenes of the racecourse. …AND EXPLORING THE TEMPLE OF JUMPS RACING! Racecourse gates open at 11.30 am. 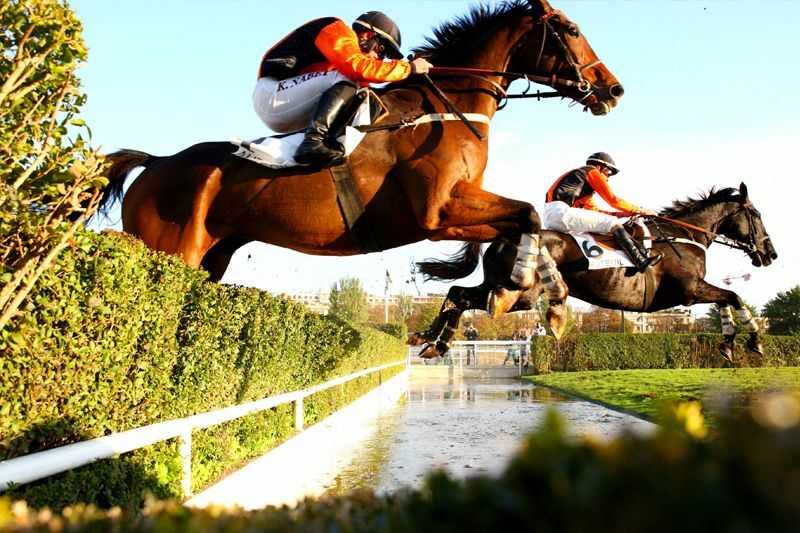 Auteuil racecourse is the capital of jumps racing in France, playing host to all nine of France’s most important jumps races (called Group I) for both Hurdles and Steeplechase. The sensational aspect of jumps racing has played a huge role in the discipline’s popularity, as something exciting always happens in a jumps race, and spectators love the unexpected. 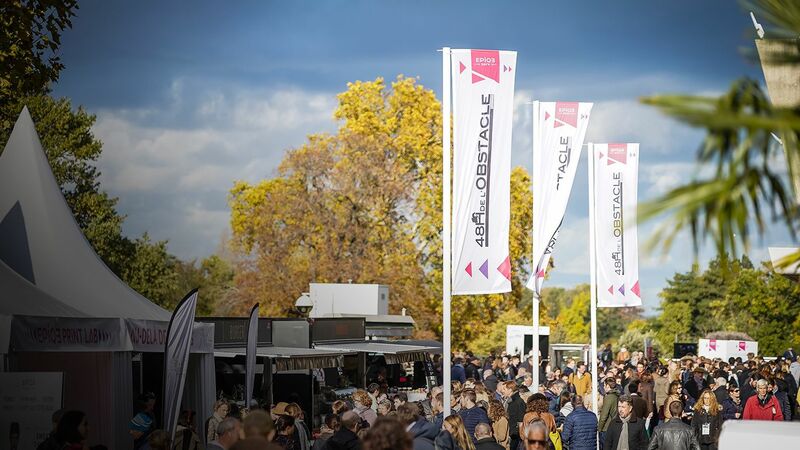 Racing fans flock from all over France to attend the season’s greatest jumps racing events, the 48H de l’Obstacle in November and the Grand Steeple-Chase de Paris in May. FRANCE GALOP respect your privacy and strive to ensure that the data they collect to identify you is treated as confidential information. For more information about how to exercise your rights, in accordance with updated French law no.78-17 of 6th January 1978 regarding data-processing, data files and individual liberties, please refer to the legal information provided on the present website. When visiting, browsing and/or using the present website’s information and/or services, certain information may be saved in « Cookie » files that are stored in your computer or mobile device. This web page provides information about what cookies are, what they are used for, and how to change your cookie settings. Cookies, otherwise known as web cookies or browser cookies, are text files stored in your computer or mobile device when you browse online content. These cookie files can only be read by their emitter and enable them, during the retention period, to recognise the computer or mobile device that you use when browsing the online content concerned by this cookie. A cookie does not identify you personally, but rather identifies the web browser on your computer or mobile device. Cookies are sent by France Galop websites with the aim of gathering information regarding your browsing activity. The cookies sent by our websites are either performance cookies, audience analysis cookies, advertising cookies or social media cookies. These cookies are vital for visiting, browsing and/or using the present website’s information and/or services. They enable us to recognise your browser, notify us when you visit a specific page on our website, improve the website’s browsability (adapting the resolution of the display, remembering the language used, memorising passwords and information used to fill in online forms, etc.) and allow us to roll out security measures. These cookies cannot be deactivated or configured, as they enable users to access the website, its information and/or its services. You can change your browser settings to block these cookies on your computer or mobile device, but some of the website’s features and/or services will consequently not work as they should. The lifespan of these audience analysis cookies does not exceed 13 months, in accordance with the current regulations. These cookies are emitted by FRANCE GALOP or by our technical service providers to measure the visitor numbers on our website, to improve its organisation and its content, and detect any browsing problems to improve its user-friendliness. These cookies only produce anonymous statistics and visitor numbers, and exclude any information that might allow you to be identified personally. This type of cookie helps us to improve the management of our advertising campaigns, forming a link between our users’ interest in external adverts and the route they took to access our websites. Our advertising campaigns can also be adapted according to the user’s browsing activity on our websites. The information gleaned enables us to offer more personalised content, such as advertisements and the most relevant search results. When you access our website via a partner website, a specific cookie may be sent with the aim of recording the frequentation from this particular partner website. These cookies enable users to share content from our website with other people, show other people what they have been looking at or give their opinion of the website’s content. This is the case for the « share » and « like » buttons on social media such as « Facebook » or « Twitter ». The social media providing this application button is likely to identify you via the button, either when you click on it or when you are simply browsing our website. We advise you to check the data protection policies of these social media so that you are aware of how the browsing information collected by these application buttons is used, especially with regard to advertising. The lifespan of these cookies does not exceed 13 months, in accordance with the current regulations.